On September 11th, 2001, the world changed. For those of us who experienced it as a current event, life can be divided between a before and after, and we can clearly remember where we were when the news first reached us. For those not yet born, or old enough to comprehend, 9/11 is a historical marker of enormous significance. But for all of us, the repercussions of this day continue to ripple throughout our world. Now, fifteen years later, we gather these resources as a way to look back at what happened, to see it anew through different perspectives, in an attempt to find ways to remember and come together. The National September 11 Memorial & Museum features a timeline of events that occurred on 9/11 as well as a timeline of Ground Zero’s Recovery and the 1993 World Trade Center bombing. 9/11 Report: A Graphic Adaptation by Sid Jacobson and Ernie Colon presented by Slate. Sid Jacobson and Ernie Colon took the 592 page final report of the 9/11 Commission and adapted it to a graphic novel format. Lesson plans and primary sources for educators on topics like the World Trade Center, terrorism and the global impact of 9/11. Operated by the National Park Service and located in Stonycreek Township at the crash site of Flight 93, this memorial honors the passengers and crew of Flight 93 who prevented terrorists from reaching their intended target. The Pentagon Memorial was created to remember and honor those family members and friends who are no longer with us because of the events of September 11th, 2001 at the Pentagon. Includes a photo gallery and biographies. Final report of the The National Commission on Terrorist Attacks Upon the United States (also known as the 9-11 Commission), available in PDF format. Teaching Tolerance offers engaging classroom activities and projects for every grade level. The Guardian – What Impact did 9/11 Have on the World? An Op-Ed piece from The Guardian explores the lasting impact of 9/11 on the global community. 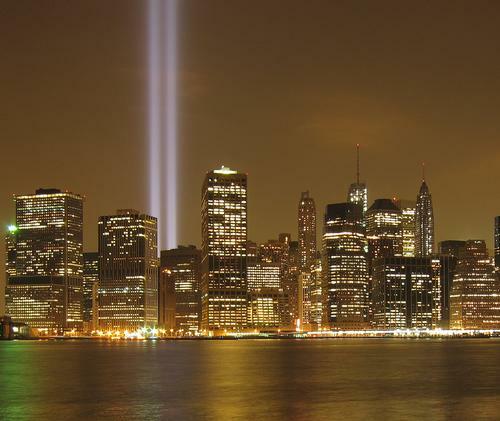 These films cover the history and aftermath of the September 11th terrorist attacks. This booklist provides a look at the causes and the aftermath of the September 11th terrorist attacks. Teens readers who are interested in learning more about the September 11th terrorist attacks should check out this booklist. What happened when the towers fell? These books for middle school readers examine the impact of the terrorist attacks on 9/11. These book will help children understand the history and impact of 9/11 as well as the history of the World Trade Center. Fred Rogers said, "when I was a boy and I would see scary things in the news, my mother would say to me, 'Look for the helpers. You will always find people who are helping.'" This booklist helps caregivers share information about these community helpers with young readers.